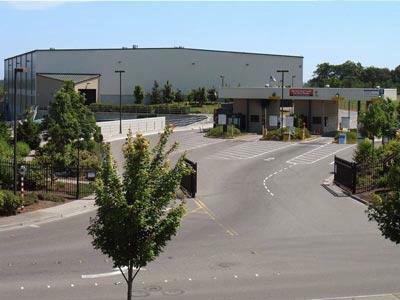 The Snohomish County Solid Waste Transfer Station located near Paine Field has reopened this afternoon after a hazardous material spill occurred on the “tipping floor” where the garbage is dropped off. Four Solid Waste employees were transported to the hospital for monitoring. A few patrons who were using the facilities were escorted out of the building along with all employees. The recycling section of the transfer station was reopened at approximately 10 a.m. The Airport Road Recycling and Transfer Station (ARTS) staff reported a strong unusual odor and found a spillage of industrial cleaning solvent around 8 a.m. Approximately five gallons of heavy duty degreaser that a customer brought into the facility was located in two 2.5-gallon jugs. The Snohomish County Hazardous Materials team was brought in and secured the containers. One of the jugs had a loose lid resulting in the spillage. A hazardous waste contracting firm was quickly brought in and cleared the spill allowing the transfer station to reopen this afternoon.